There are too many different types of tablet computers across a variety of platforms floating out there in the market today – but the million dollar question here is, which of these devices really hold the potential to evolve as the workspace favorite in the long run? Many observers tend to be inclined towards the belief that tablets are the future and quite understandably, it’s that kind of a prediction that PC makers do not take too kindly to. While, many of us don’t really believe that tablets can pose serious existential threat to laptops (and PCs) in workspace, it’s an undeniable fact that enterprise IT has come a long way in the past few years. 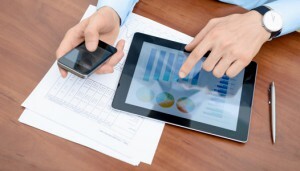 As a part of this change, tablets are playing an increasingly more dominant role at work – either through bring-your-own-device (BYOD) program for the staff or through direct purchases by the organization itself. In a bid to stand out in the cut throat competitive market, tablet suppliers usually offer an array of products varying by operating system, screen size, connectivity options as well as other accessories and features. The size of the device plays a particularly important role when it comes to attracting buyers. For example, surveys conducted on online shopping trends in the U.S. have highlighted that most buyers usually tend to opt for traditional tablet sizes. According to one study, 61 per cent of the consumers who either own or plan to own a tablet prefer slates sizing in the range of 8.9” and 10.1”. 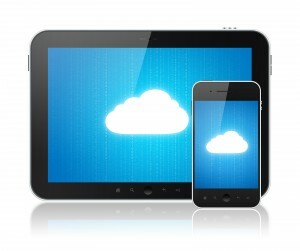 Notably, this range includes products such as the Amazon Kindle HD (8.9”), Apple’s iPad (9.7”) and Samsung’s Galaxy (10.1”). However, the fact that 39 per cent consumers do not prefer tablets belonging to this category leaves ample space for devices with other form factors to bloom. The same study found that approximately 16 per cent consumers prefer slates between 7” and 7.9”. At 7”, Amazon’s original Kindle Fire HD is a good option for those preferring products of that size, and so is the iPad Mini that has been playing an increasingly more important role in Apple’s tablet portfolio. 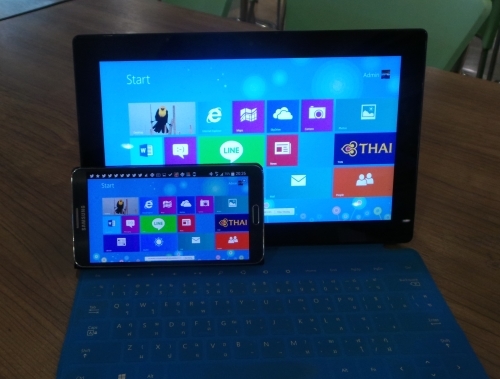 Meanwhile, Microsoft is also committed towards controlling a big chunk of the smaller tablet market with its Windows 8.1 and Windows RT OS powered devices. Apart from the size, another crucial factor that adds to the success or failure of a device is the Operating System. Traditionally, Apple has been the dominant force in this category with its iOS platform surpassing the competitors by huge margins. However, with the popularity of Android powered slates soaring high and the emergence of many new and promising Windows tablets in the recent past has made sure that Apple’s firm grip over the worldwide tablet market comes under severe pressure. Tablets are slowly but steadily making their way into the modern workspace, and the fact that there will be around 738 million sold devices by 2017 further boosts the prospects of a more widespread BYOD behavior. In those offices where BYOD can’t be an option on legal ground or for some other reason, a co-opt policy could be the answer. This is when companies could exercise the option of purchasing slates at par with the best consumer devices available in the market. 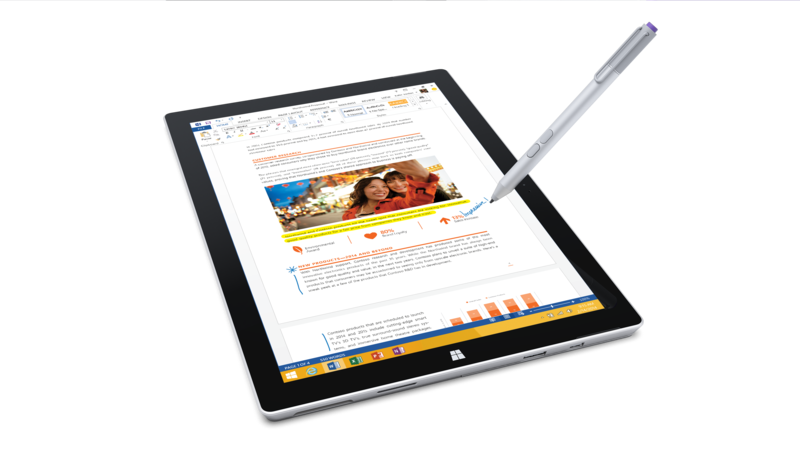 Microsoft sees a much more lucrative future here for the company’s tablet portfolio that come blessed with the power of popular Windows applications such as Office. Tablet suppliers will also have to take into account the fact that most companies prefer to build their unique systems for employees. The ability to build proprietary apps for intra-office usage at a much lower cost is another important factor that gives tablet computers an edge in the modern workspace. Many companies these days are using software development kits to roll out programs designed to solve the issues their employees face during day-to-day operations. Therefore, making their platforms easier and more accessible for app development could give tablet suppliers a key edge over their competitors. 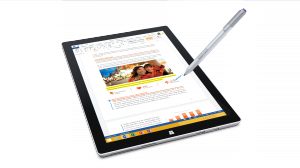 The Microsoft Corporation has officially released its new Surface 3. This latest addition to the Surface series is both smaller and lower in price than the larger and more expensive Surface Pro 3. With this latest Surface gadget, Microsoft is hoping to drive new unit volume. This new Surface carries a price of $499, which is considerably lower than that of the Surface Pro 3, which is currently priced at more than $799. So, while the smartphones are continuing to get larger in size and more powerful, there has been a pressure on tablet devices to keep the attention and interest of the customers. The Surface 3 is presently the most recent attempt made by the Microsoft company to capture that attention and hopefully spark the interest of consumers. Up until now, the only 2 versions of the Surface device were the Surface Pro and the Surface RT. The Surface Pro ran Windows and the RT only ran apps. The RT actually flopped because there were not that many apps available to run on it. The Surface 3 is also the successor of the Surface 2. It features a 10.8 inch screen and the processor is not quite as strong as the Pro’s but it is only noticeable in the required boot time. 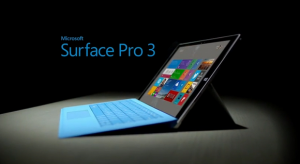 Once the Surface 3 has booted, there’s no real noticeable difference between it and the Pro. All of the apps run smoothly. The only downside is the power brick on the Surface 3 doesn’t have the 2nd USB charging jack that the Pro has. In comparison to the Pro, the Surface 3 is a lot lighter and considerably easier to hold in your hands for longer periods of time, and the cameras are noticeably better. The new Surface 3 also has a battery life of 10 hours, and the power cord connects with the micro USB jack, making it usable for multiple devices. The Surface 3 is also able to be connected to another computer for charging purposes. Have you wondered how much time you consumed in studying if you were from…let’s say like your grandmothers time? Meaning all books in the library and no technology! Gosh it gives me goose bumps just thinking about it. Good thing some of us were lucky enough to be born in a year where technology was being developed already and now that were n the 20th century, technology is a must. So now for the real deal… laptops or notebook or portable personal computer, whatever you want to call it. Computers have helped us in so many ways but seriously it can be a disadvantage especially when you go outside but you want to use one. That’s where laptops come in. Like I said portable which means it can be carried. This laptop is best known for having the longest battery life. It has a thickness ranging from 0.11-inch to 0.68-inch and speared over the larger footprint of the 13-inch chassis. 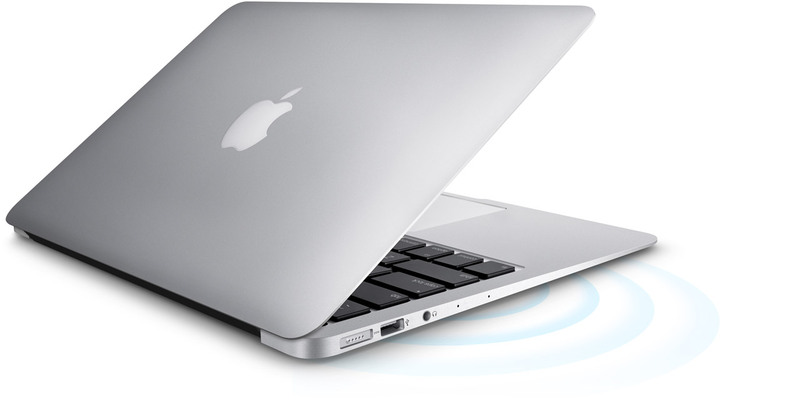 It is about the same as other MacBooks but there is a minor upgrade to the stock CPU which gives a more improved performance. The industry’s best is still its multi touch track pad and this MacBook is a lot cheaper with its price ranging at $948 to $999, $100 less than the previous model. The disadvantage of this is that it is missing the newer features like touch screens and higher-resolution displays. This one is known for being the best windows tablet. Yup it’s a tablet and laptop in one. It is a 12-inch display with high screen resolution but don’t worry because despite it 12 inches, it is a lot more light and thinner compared to the two previous versions of it. It also has a kickstand that can be adjusted to nearly any angle between 22 to 150 degrees which makes it easier to set up and use and also the keyboard is A-ok. It also comes with a digital pen. Though the touchpad was improved, it just doesn’t measure up yet and the keyboard cover is not included in its base price of $699 to $ 747.89 and the chassis lacks pen storage. 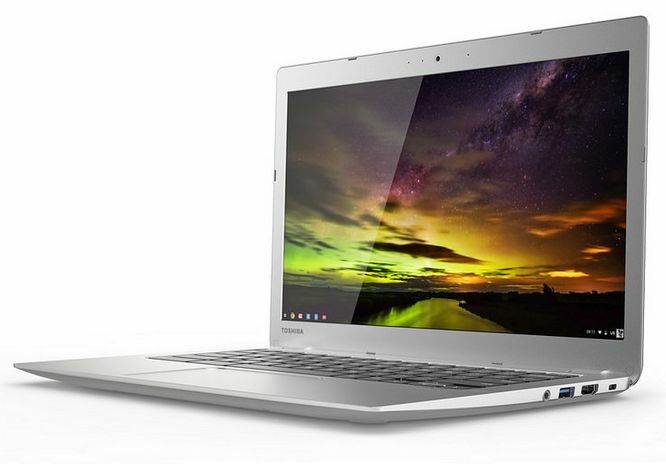 This one is the best Chromebook so if you want the all-around solid Chrome OS experience then you better get this one. 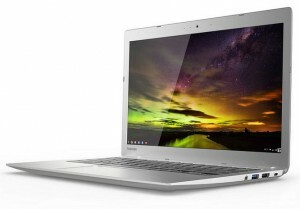 The first Chromebook was a 13.3-inch screen so it was bulky but then while this Chromebook 2 also retained its 13.3-inch, Toshiba shaved off as much as possible and the ending result is that there is more screen to work with and the keyboard is a lot more spacious to type on though it stll takes up too much room in your bag. It has an excellent 1080p screen and it also has a set of nice features like a full-size SDXC card slot, great-sounding speakers and fast 802.11ac wireless. Its price ranges from $329 to $389. 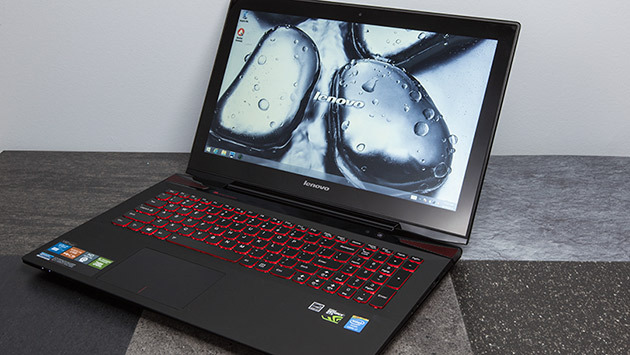 While Lenovo is best known for its business-friendly ThinkPads and transforming Yoga hybrids, it actually is also known for its best-kept secret as a great PC gaming. It has great features which include mainstream graphic cards, touch screen and a full 4K resolution. While this 4K display is more fantastic than the dull 1080p predecessor, the problem is that not many games can be cranked up to that high resolution so really, it limits on the games you want to play but other than that it’s great. The price for this one is $1148. Even though it has only been a few days since Google first released its Chrome Remote Desktop for the Apple iOS , the tech industry giant is already testing out support for its Chromebook laptop devices. The Chrome OS development channel now has the new feature available. Francois Beaufort, developer and Google open-source Chromium evangelist, first discovered this addition in the Chromium Code Reviews for the latest Chrome OS test build. You can launch the Chrome Remote Desktop app and click on the green-colored button that reads “share.” It is not hidden behind a “flag” that you have to enable first anymore. The Chrome Remote Desktop application was initially launched out of beta by Google back in October of 2012. When it was first released, however, it only functioned via the Chrome browser on Windows, Linux and Mac operating systems. Since then, Google has created both Android and Apple iOS applications, and finally the company’s own Chrome operating system looks to be the next one in line. The Google “channels” system works like this: a new feature starts out in the development channel and then usually advances into the beta channel. Eventually, a new feature will usually reach the stable channel and that’s after the bugs have been fixed and the feature has gone through significant testing phases. As of right now, the new Chrome Remote Desktop app is stil in the development channel, but once it finally reaches the stable channel, consumers who have Chromebooks will gain remote access to their Chromebook devices from other laptops desktops, Android tablets and smartphones, and iOS mobile devices as well. The Chromebooks are shipped out with the stable channel automatically enabled by default. However, if dealing with the bugs doesn’t bother you much and you want to play around with some of the most newly-developed features that aren’t ready for official release just yet, you can always manually switch to the less stable beta channel or even the most unstable development channel. It is estimated that the new Chrome Remote Desktop may finally support all of the Google Chromebooks within the next few months or so. If you happen to be one of the many consumers that really likes the whole innovative design of the Microsoft Surface laptop/tablet hybrid, but you are not a big fan of the Windows-based operating system, you might want to check out this new device by Chinese start-up company called Jide. Jide has recently designed a new ultra-tablet that very closely resembles the Microsoft Surface device called the Remix Ultra-Tablet. However, instead of a Windows-based operating system, the Jide Remix Ultra runs on a modified (skin overlay) version of the Android 4.4.2 operating system called Remix OS. This inventive modification of the Android OS sports a more desktop-like look, while also providing convenient access to Google Play and its mobile apps. An even cooler feature of the Jide Remix Ultra is the fact that it supports multiple windows which can really aid in productivity. Apparently, the Jide company was initially formed by a small network of ex-Google engineers, and the Jide Remix Ultra-Tablet is the infant company’s first ever product. The Jide Remix features an 11.6-inch1080p IPS display, a NVIDIA processor, 2 GB of RAM, and dual 5 MP cameras (rear and front-facing). The outward design of this new Ultra Tablet bears a nearly identical resemblance to the Microsoft Surface Pro 2. 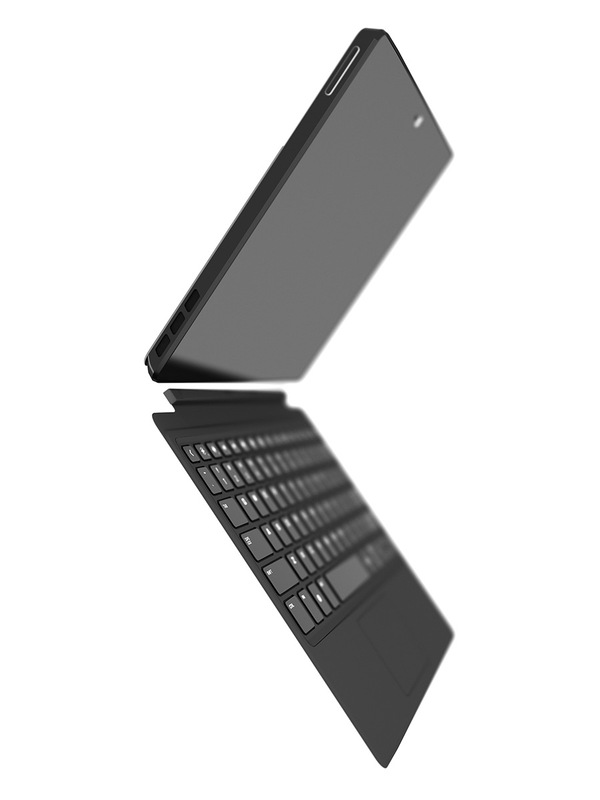 The storage of the Ultra Tablet will be expandable up to 128 GB and the tablet will also feature both a magnetic keyboard connector for a super-thin, full sized keyboard as well as a magnetic power connector. According to the Jide company, the new Remix Ultra-Tablet is currently in the production phase and will be released on the Chinese market first and will work its way over to the UK and the US sometime in the second or third quarter of this year. The starting price of the Remix Ultra will be $349. 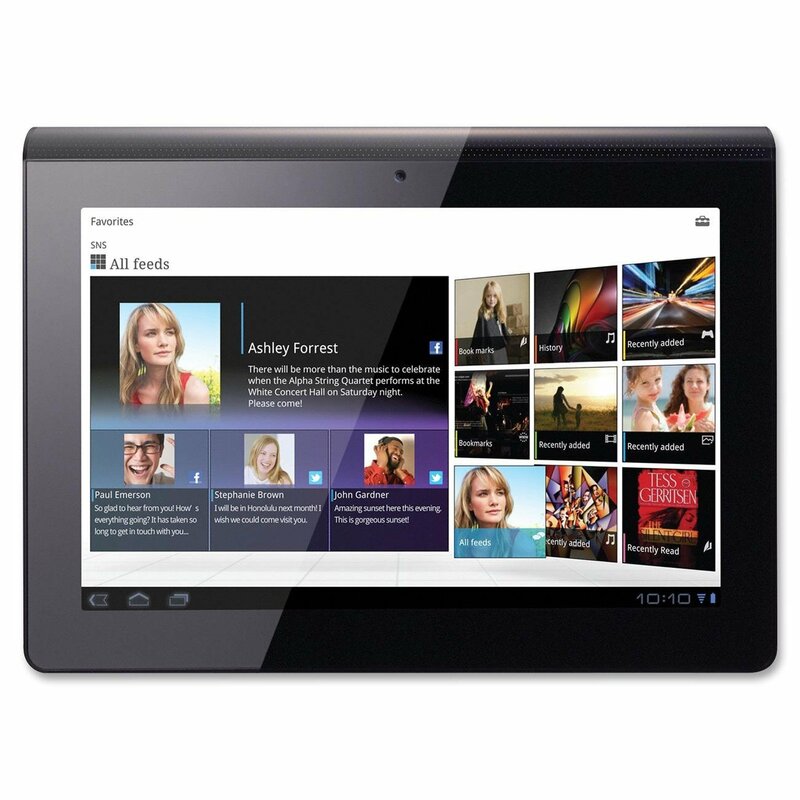 The latest rumor about Sony Corporation is about its plans to launch a 12.9-inch tablet PC in the first quarter of 2015. Rumor has it that Sony’s new tablet PC device is comparable to the Apple iPad Pro. 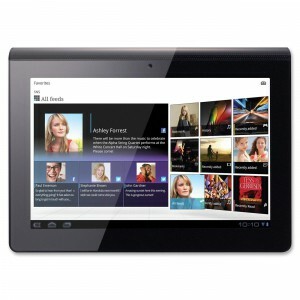 This new 13-inch tablet PC will be Sony’s biggest Android tablet ever. The tech industry conglomerate seems to be stepping up to compete with companies such as Apple Inc and Samsung. While Apple is gearing up for the release of its 12.2-inch iPad Pro, which is expected to be sometime in 2015, Sony is preparing to give the iPad creator a run for its money. This new Sony tablet PC is suspected to be sporting an LCD display size of 12.9-inches, a 3840 x 2400 pixels resolution, and will be bigger than both the largest Samsung Galaxy Pro tablet PC and Microsoft’s Surface Pro 3 laptop/tablet hybrid. Sony’s newest tablet has supposedly been branded as the Sony Xperia Z4 Ultra. It’s 8.6mm thick with 6GB of RAM and it runs on a Qualcomm octa-core 64 bit processor. The new Sony Xperia Z4 Ultra will also be featuring an 8MP camera and an HDMI output port. The internal storage size will be 64GB and it will also have Playstation 4 Remote playability. The price for this new Xperia Z3 Ultra tablet is said to be more than $1000 which puts it on the higher end segment of the industry’s market. Pegatron, the company that builds surface hybrids for Microsoft and iPads for Apple, will be mass-producing the new Sony tablet PC, which only further confirms the company’s intent to compete with Apple’s soon-to-be-released iPad Pro, which has only 2GB RAM, an A8X processor and an LCD screen size of 12.2-inches. Ever since the company’s 136 billion yen loss back at the end of the 2014 fiscal year, Sony completely ceased its production of laptop PCs. However, sources have reported that the electronics giant plans to pursue what it calls an “aggressive strategy” towards manufacturing tablet PCs as it heads into the year 2015.